This August, I’m participating in the Canadian Blood Services climb up Mt. Kilimanjaro called #Climb4Cord. 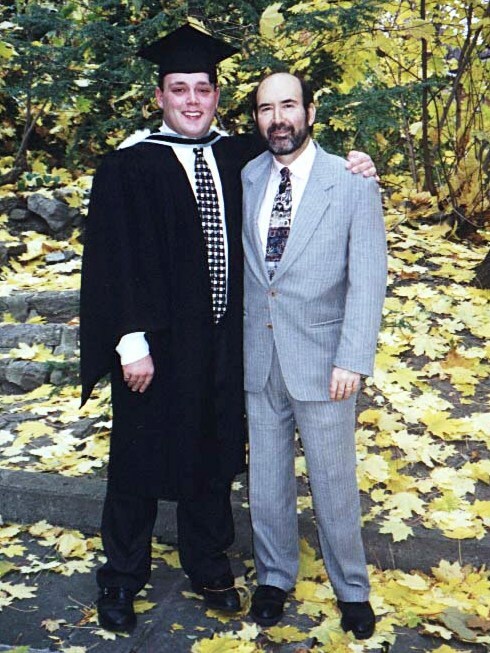 I am climbing to honour my father, Howard Stein, who passed away in 2006 as a result of leukemia. My goal is to raise $10,000 $12,000 $15,000 $20,000 $22,000 $25,000 towards our overall fundraising campaign FOR ALL CANADIANS which will create a new national public umbilical cord blood bank. Did you know Canada is the only G8 country without a national public umbilical cord blood bank? Did you know that today approximately 1,000 Canadians are desperately in need of a stem cell transplant because it is their last and best hope for a cure? Canadian patients currently rely largely on stem cells from bone marrow or peripheral blood donations. There are simply not enough of these donors. We need to address this gap and a national, public bank of stem cells from umbilical cords will significantly improve the chance of finding a high quality stem cell match for Canadian patients in need. I’m ready to lace up my boots and make the climb of my life 19,341 feet up Africa’s highest peak to help those Canadians who are in the fight of their life. If 500 750 1,000 1,250 people donate $20 each, I will reach my goal. If you would like to get creative, consider a dime for every foot climbed ($1,934.10), a penny for each foot ($193.40) or a penny for every ten feet ($19.34). If you can help in any way, I would be grateful. You can DONATE HERE. Please also consider forwarding this page to your friends and colleagues – I am hoping to reach as many people as I can to support this great cause. Thank you for supporting me on this important journey! Hey bud – the race against cancer journey kicks off this Sunday! 30KM run ahead of me and feeling great. Loving your updates. Thanks for the kind words Karim. It’s been a pleasure learning from you, too! !